Yoga Reiki Aromatherapy Workshop — LOVE BLOSSOMS Sow.Nourish.Grow. So excited to find out that this workshop is filling up!!! 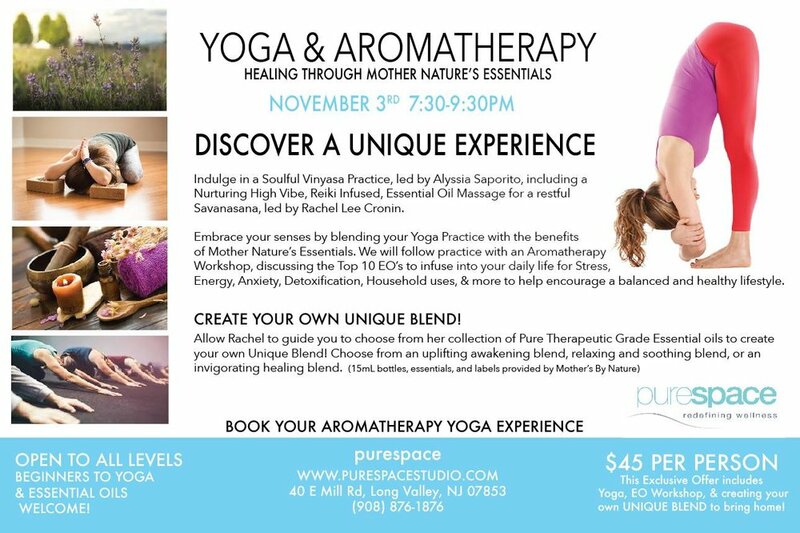 Partnered with my amazing friend and yogi teacher Alyssia Saporito for this incredible evening, up by her in Long Valley! If you are close by or willing to take the trip, you will be grateful you came! Spread the good word to indulge in everything essential. What better than combining Yoga, Healing, Reiki, and Essential Oils by (yours truly) Mothers By Nature! You also get to bring home your very own Unique Blend! Going to be seriously good times, you don't wanna miss out! Sign up before it completely fills up! Visit purespace studio and put your name in! !